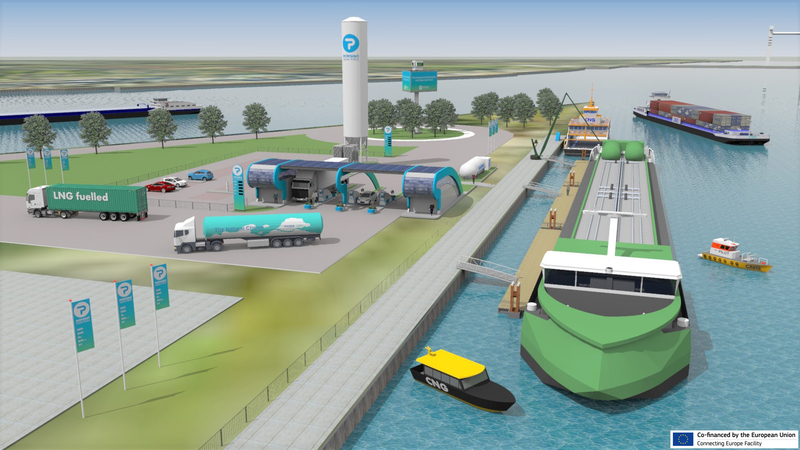 The Port of Rotterdam wants to realise a new multifuel bunker station for the refuelling of LNG and other cleaner fuels. 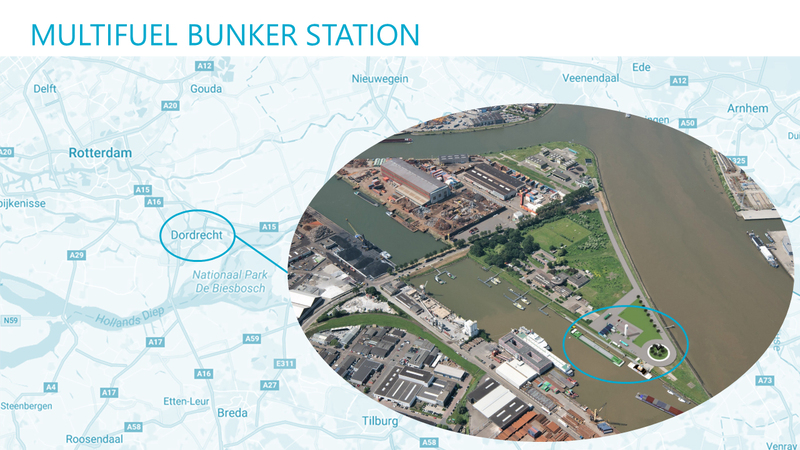 Krabbegors/Duivelseiland at Dordrecht Inland Seaport has been designated as the location for this bunker station. Port of Rotterdam and PitPoint.LNG signed a letter of intent to jointly further investigate the realisation of such a multifuel bunker station. “The realisation of a multifuel bunker station reflects the Port of Rotterdam’s commitment to play a pioneering role, as the administrator of the biggest port in Europe, in energy transition within Europe. In this way, we will encourage the use of LNG as an alternative to fuel oil in shipping”, believes Ronald Paul, COO for the Port of Rotterdam. The proposed location for this multifuel bunker station is Duivelseiland, an island at the meeting of the Oude Maas, Dordtse Kil and Beneden Merwede in Dordrecht. Dordrecht Inland Seaport is the most inland seaport in the Netherlands. It forms the meeting point of the shipping lanes for the cities of Amsterdam – Rotterdam – Antwerp, and the main shipping route into Germany: the ideal location for a bunker station of this type. Pitpoint.LNG and the Port of Rotterdam will work together over the coming period to further explore the feasibility of the multifuel bunker station. This will include holding discussions with potential customers, partners and suppliers to see how the supply and demand for cleaner fuels can be effectively matched. Whether it’s hydrogen, electric, biodiesel or LNG/CNG, a central aspect of the investigation is the requirement that all fuels supplied by the multifuel bunker station should produce fewer harmful emissions than traditional fuels. This includes fuel for ships, trucks and/or commercial vehicles with the aim of working together to achieve cleaner air and a better living environment. “The realisation of such a multifuel bunker station forms part of PitPoint.LNG’s strategy of developing a European LNG refuelling infrastructure. We are looking forward to working on this project together with the Port of Rotterdam and in this way enabling cleaner transport,” explains Jan Willem Drijver, managing director of PitPoint.LNG. PitPoint.LNG is a joint venture formed by PitPoint clean fuels and Primagaz Nederland BV. This joint venture is focused entirely on the realisation and operation of LNG infrastructure for trucks and ships. The Port of Rotterdam has been responsible for the operation and development of the seaport of Dordrecht since 2013. The Port of Rotterdam has been working on its redevelopment with the municipality of Dordrecht and business representatives with the aim of realising the full potential of the 290 hectare port area and adjoining industrial sites. The aim is to successfully develop the port and raise its profile so that it becomes a vital seaport zone that attracts businesses in the port sector to settle.